So this is where my search finally took me, to the Brooweena war memorial bridge, located 21 km south of Brooweena on the road to Woolooga. The bridge was funded and erected on a public road by Mr and Mrs L S Smith of nearby Mt Joseph Station who wished to make their own commemorative gesture during WWI. It is a substantial wooden bridge over a small creek with a pair of sandstone piers at each end. Leaded marble plates are fixed to the piers. A small commemorative stone cairn with metal plaque was later erected at the entry to the bridge by the Smith's son. I really like the fact that it has a Peace Plaque as well as one that marks the Declaration of war. You might have noticed that several of these photos are credited to Shirley and Trevor McIvor. They are such lovely photos that I thought the McIvors might be an interesting couple to talk to about the Brooweena bridge, so I tried to find out more about them, and what I found was fascinating! Trevor McIver was an electrical fitter in Toowoomba, but in 1983 he received a severe electric shock which had ongoing repercussions. He was told he might soon be in a wheelchair, so he and his wife Shirley toured nearby area around the Sunshine Coast to find out what sort of places had good wheelchair access, in case he needed it in the future. Luckily he didn’t need the wheelchair, but in the meantime they published two books on wheelchair access in the area, which prompted other tourist attractions to make their sites wheelchair friendly. The McIvors didn’t stop there. While driving round looking for wheelchair-friendly sites, they noticed that almost every community had a war memorial that was often easily seen from a car, and these would make for an interesting road trip, even if someone in a wheelchair couldn’t get out of a car easily. So they approached the University of South Queensland Press to ask if they would be interested in a book about them, and USQ Press said yes, but only if the McIvors covered all the war memorials across the whole of Queensland. This was obviously going to be a much bigger project (in the end they drove over 40,000km to and fro across the state), but the McIvors said yes, partly as a tribute to Shirley’s father George Jamieson (who was on Gallipoli and later received the Military Cross at Buckingham Place) and other veterans. They published Salute the brave: a pictorial record of Queensland war memorials in 1994. So thanks to Shirley and Trevor McIvor for these photos of the Brooweena bridge. In residence at the residency! 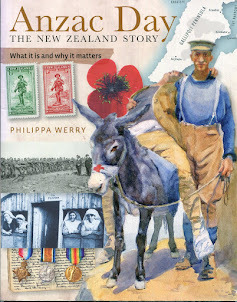 I am a New Zealand writer of fiction and non-fiction with a special interest in history. 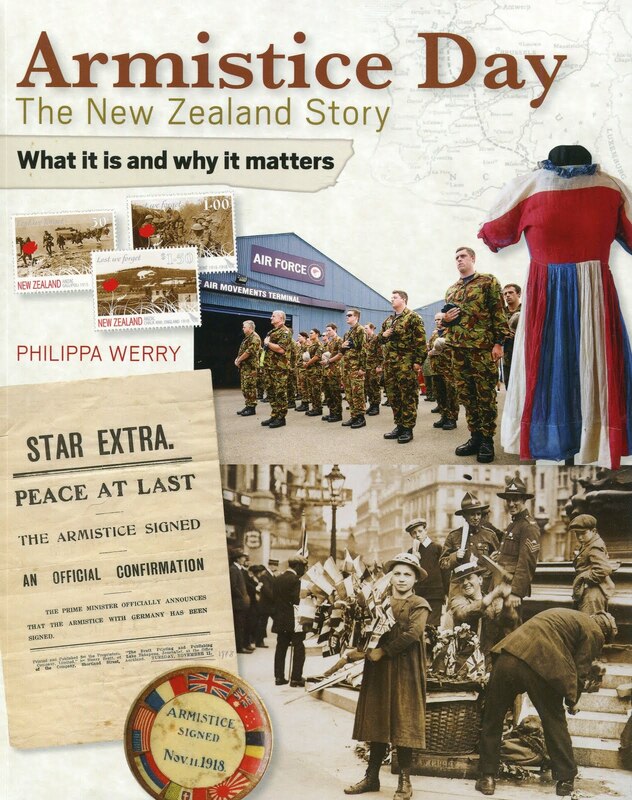 I belong to the Writers in Schools programme, talk at seminars and book evenings, run creative writing workshops, do online tutoring for NZ Writers College and write a blog on Children's war books. I was lucky enough to go to Gallipoli for Anzac Day 2014 with the Gallipoli Volunteers. In 2016, I'm equally lucky to be going to Antarctica with Antarctica NZ. Visit my author website.